It flows eternally like magic, clear and cold, attracting people from far and wide to bottle it for free. 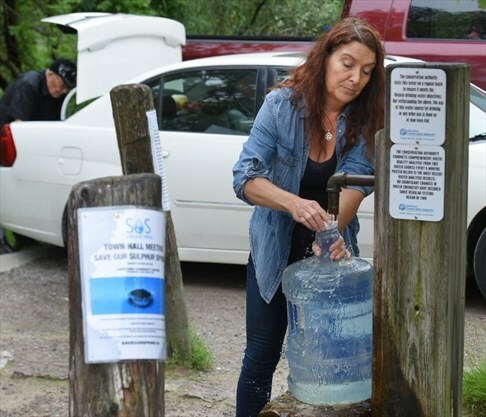 Nature created the artesian well off Sulphur Springs Road, just south of Governor’s Road in Ancaster, where subterranean water under pressure courses from two taps day and night, year-round, without the aid of a pump. But it required human hands to access it in the 1960s, when 10 wells were dug; the one in operation plunges 72 metres. That means the tap can be turned off. And that’s what Hamilton Conservation Authority staff has recommended the HCA board do this fall, when it votes on closing the well. The reason is Hamilton’s public health department told the HCA that levels of arsenic in the well water are nearly double the new Ontario drinking water standard, which is the same standard in the United States and recommended by the World Health Organization. But that is not quite the end of the story, because those who use it are passionate about their well water, believe it is healthy, and love the chlorine- and fluoride-free taste. And they correctly point out that the arsenic level in the water is the same as it has always been. 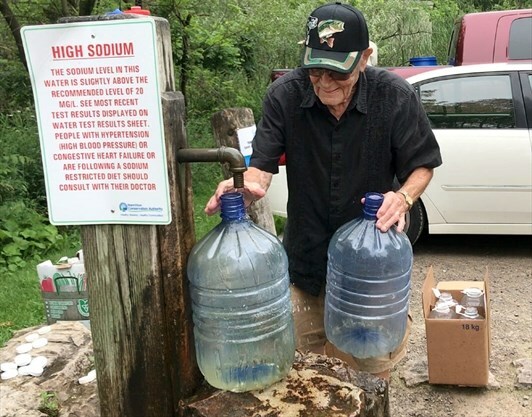 On a cool and mostly rainy day last week, about a dozen people came by in just over an hour, filling jugs with water next to a newly posted sign warning of arsenic levels (and an existing sign warning of sodium levels). Anna and Adam Mazanek and three-year old daughter Veronica drove from Mississauga, as they have for a year after finding the spring online. Bernard Habinski, who lives on the Mountain, wore rubber shoes for the task and loaded his back seat and trunk with containers. “I love this water,” he said. No one is going to tell Habinski it’s bad for him. He’s been drinking it for about two decades. And he turns 90 next month. 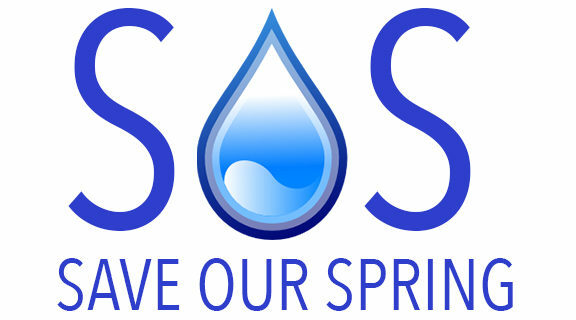 A group called Save Our Spring recently formed to oppose the closure. The situation raises questions about risk assessment and choice. Water is an emotional and often politically-charged issue. It makes up about 60 per cent of the human body, and drinking water is a rare commodity: nearly 70 per cent of the planet is covered by water but only 2.5 per cent is fresh water, and just one per cent of that is easily accessible to drink. The Ancaster Sulphur Springs wells were first tapped by settlers in the 1850s, and in the mid-1960s to 1970s were the primary drinking water source for about 10,000 residents before the area was connected to the municipal water supply taking its water from Lake Ontario. The HCA has been responsible for the wells since assuming ownership in the late 1990s. The taps at the site have remained flowing 24/7 ever since, apart from a brief shutdown in 2000 due to elevated bacteria levels, caused by the tap system back then, not the water source. Tests over the years have shown consistent levels of arsenic, which is a carcinogen, meaning it can lead to cancer, but arsenic is also found in food, soil, air — and some brands of bottled water. In the case of artesian well water, arsenic is a naturally-occurring element in its less harmful organic form, not the far more dangerous inorganic version. Levels have always been between 17-22 parts per billion (ppb), which was never considered a health hazard because Ontario’s former drinking water standard was 25 ppb. But in 2001 the U.S. Environmental Protection Agency announced a limit for arsenic in drinking water of 10 ppb. Early last year, Hamilton’s public health department told the HCA that as of Jan. 1, 2018, Ontario would enforce the higher standard. The HCA could treat the water to remove arsenic but it would be expensive. Years ago staff estimated the cost could be more than $500,000 initially and perhaps $35,000 annually. Staff instead recommends turning off the tap for good. 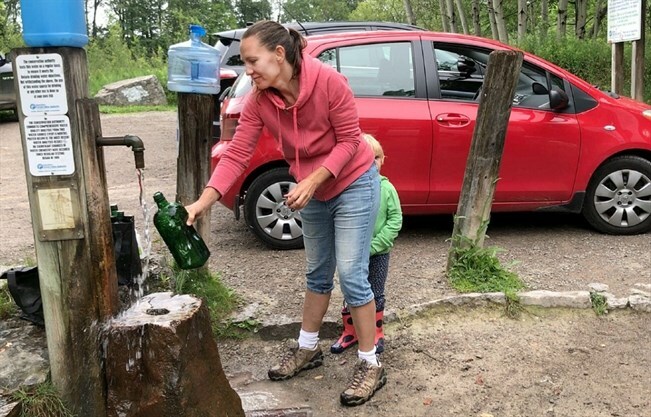 Lisa Burnside, chief administration officer at the conservation authority, said that in theory after shutting the source and locking it, the tap could be turned on again in the future if the rules changed. Or they could decommission the well entirely, which would also be costly. Christopher McLeod, who lives near Copetown and is a leading voice in the Save Our Spring group, says that in practice the HCA has made it part of their mandate. McLeod’s rural home is not connected to the municipal water system. His family has a shallow well and filtration system, but the water doesn’t taste nearly as good as the Ancaster well and he believes it is not as healthy. The SOS group held a public meeting two weeks ago, attended by HCA staff, and nearly 100 people attended. The next meeting is July 26 at 7 p.m. at Copetown Community Centre. (For more about the group go to saveourspring.ca). McLeod says they would like to partner with the HCA to collect data on how many people use it. He says there is no evidence the water has harmed anyone, and cancer rates in the Ancaster area have historically been low. Risk is an inexact science, which is part of the reason Ancaster Coun. Lloyd Ferguson supports keeping the well open. He is one of 11 members on the HCA board that will vote on the issue. Ferguson said arsenic is not on the radar when it comes to testing private rural wells, which are tested for such things as E. coli bacteria, but not arsenic. He succeeded in pushing the HCA to hold off on the vote until November. In the meantime he’s encouraging residents to send him information to help convince the board to vote against closure, and perhaps sway the position of Elizabeth Richardson, Hamilton’s medical officer of health. “Unless we get empirical data, the board won’t have the stomach to leave it open,” Ferguson said, conceding that liability fears might be the deciding factor no matter what data is out there. One suggestion from the SOS group is reclassifying the well from a drinking water source to a “mineral source” that people can bottle at their own risk as they always have. Wilf Ruland, a professional geoscientist who lives just down the road from the well, says arsenic is a real issue, and he wonders if there is a way to blend water from another of the wells to lower the arsenic levels. Joanne Turnell of SOS would like to see HCA consider inviting a non-profit group to take over responsibility for the well, with the understanding that it remains free for public use. The HCA considered the well a potential money maker 20 years ago, when it explored partnering with a private company to bottle and sell the water. The idea alarmed environmentalists at the time, who said the HCA was trying to cash-in on “blue gold,” but the plan never came to fruition. With the well closure looming, rural residents like Nicholas Griffin are ready to load up. He has enjoyed spring water for 40 years but one by one they have been closed in the area. His private well water is “off the charts for sulphur, iron and hardness” and he said bottled water is a desperate last resort, given environmental impacts associated with it. Julia Kollek, who lives in downtown Hamilton, dropped by last week to fill containers like she has been doing for 10 years. Municipal water drawn from the lake presents its own set of health issues, she said. An artesian well like Ancaster’s is one where water has travelled underground through porous rock, and after being tapped rises to the surface without the need of a pump because the water is under pressure. Artesian wells do not necessarily have to plunge to great depths, but by definition the water is confined by “artesian pressure” below the surface. The word artesian comes from the Roman city of Artesium, where wells were drilled in the Middle Ages. Artesian well water originates in aquifers — underground layers of water-bearing rock that are filled from rain or melted snow that drains into the ground. Ancaster’s artesian well is from an aquifer that originates in the water table near the Georgian Bay area. My family uses the water from this source, for drinking, cooking and brewing beer. As the article states, the water itself hasn’t changed. The politics has. I’m happy to be informed of potential contaminants in this bottled water source. As such, I’m happier being able to continue to make an informed choice. The HCA sign states that it’s not part of its mission to provide this water source. I can understand that yet, what better way to reinforce the idea that “Healthy Streams, Healthy Communities”, is a sustainable, modern idea. Please keep the well open!